Prominent & Leading Manufacturer from Mumbai, we offer band dryers, multitier conveyor ovens, flat belt style band dryers and conveyorised oven. 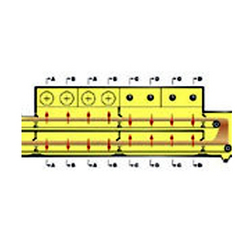 By utilizing our years of experience, we bring forth a qualitative array of Band Dryers that is used for processes such as tempering, annealing, curing and preheating. 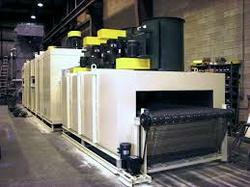 The offered dryers are manufactured by utilizing superior quality components and the latest technology. Moreover, a team of our quality controllers conduct a series of quality tests on these dryers to seek out any possible defect. We can also design an oven to accommodate your existing conveyor. 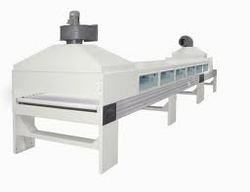 With sincerity and hard work of our professionals, we have carved a niche for ourselves in this domain by offering Multitier Conveyor Ovens. Used in chemical, paint, plastic, pharmaceutical and many other industries, these ovens are uniquely designed in compliance with industry quality standards using optimum quality components and the latest technology. We offer these ovens in diverse finishes and specifications, in compliance with details specified by clients. Moreover, we provide our esteemed clients these ovens at market leading prices. 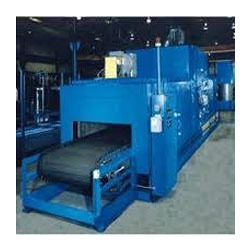 Our organization is instrumental in providing a comprehensive range of Flat Belt Style Band Dryers. Ideal for drying sliced or peeled decorative veneers, dryers offered by us are designed in efficient manner with premium quality components and highly modern technology in synchronization to the latest industry standards. Our provided dryers are widely acclaimed among the clients for their durability and sturdiness. We provide these dryers in customized options as per the requirements of our esteemed clients at affordable price. We feel proud to introduce ourselves as the leading manufacturer, exporter and supplier of Conveyorised Oven. Our offered oven is manufactured using excellent quality components and innovative technology under the guidance of adept professionals. Used for material processing applications in various industries, provided oven can be availed in different sizes, designs and shapes as per the needs of clients. To deliver flawless product to our customers, this oven is tested on various quality parameters.